Immigration has played and still plays an important role in our current lives, Canadian history, and possibly its future. Canada continues to have a flexible immigration policy to allow more people to settle and make our economy strive. Each year, Canada welcomes 250,000 immigrants from all over the world. The country essentially receives foreign students, temporary foreign workers, family class immigrants, and refugees from over two hundred countries. It makes up 20.6% of the total Canadian population, compared with 19.8 % in the 2006 data, and 17.6% in 2011. This represents an upward increase of the immigration to Canada. 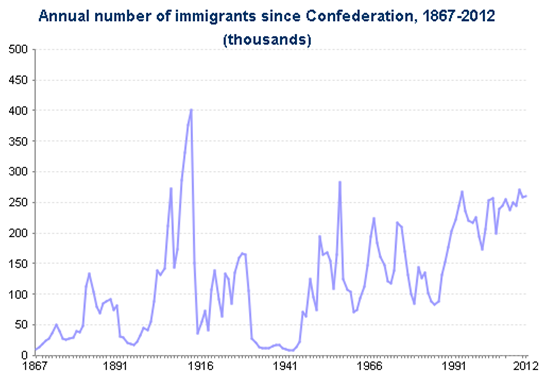 During Confederation, immigration has been an important source to Canada's population growth. In 1913, there were over 400,000 immigrants. From 2001 and 2012, it was a little less than one quarter of a million (247,402) immigrants annually. Immigrants stay in all provinces and territories, as the infograph illustrates that, 7 out of 10 newcomers (in 2011) choose to settle in Vancouver, Montreal, and Toronto. Provinces with large urban locations, such as, Ontario and British Columbia appeal to the most immigrants versus the rural areas. In addition, 40 percent of all permanent residents occupy Ontario and 1 percent chooses Nunavut, Northwest Territories, and Yukon. The rural regions of the five prairie provinces and Saskatchewan get the least immigrants. Furthermore, Atlantic Canada receives few immigrants and retention rates are fairly low. Retention rates vary from 43-68 percent in Manitoba, Saskatchewan, and the Maritime provinces, and from 79-91 percent in Ontario, Quebec, Alberta, and British Columbia. Most newcomers immigrate from Asia (79 percent) and the least from Africa (4 percent). 11 percent from Europe and 6 percent from the U.S. Within the next 45 years, Canada's population is expected to be around 40 million. From present to future, Canada's population would have slowed because of low birth rate. The population could stick to 35 million if present low birth rate is not counterbalanced with a high rate of immigration. Majority of immigrants may settle in less populated provinces, such as, Saskatchewan. This is because major populated cities, like, Toronto, Montreal, and Vancouver may experience issues of traffic and high crime rates. The effect that immigrants will have at rural locations will be that more schools, jobs and opportunities will open for those areas to flourish. Canada's job market will boost. 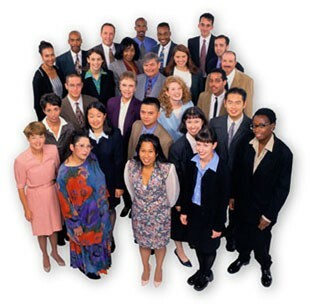 Many skilled workers will be called in to occupy empty job positions and keep the economy running. Arranged or needed workers will result in a successful society. On July 1 2014, Canada's population was predicted at 35,540,400. 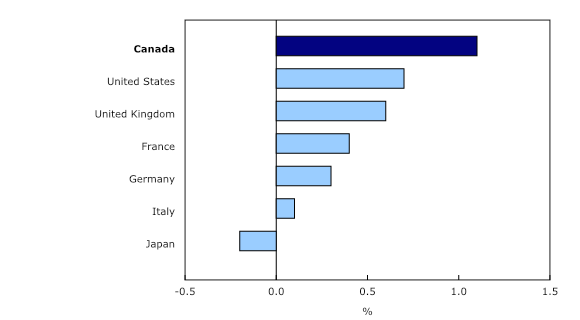 In addition, Canada's population growth (1.1%) was the highest compared to G7 countries, overreaching the United States (0.7%), United Kingdom (0.6%), France (0.4%), Germany (0.3%), Italy (0.1%) and Japan (-0.2%). Canada's population growth had significantly increased over the past 50 years. From 1951 to 2001, Canada's population had almost doubled. Yet, this is impossible to happen again in the future because the birth rate is decreasing gradually every year. There will even come a time when Canada experiences a very low birth rate. This is because of great family planning knowledge, improved status of women and late marriages, reasonable birth control methods, and increased education of women. Also, women are too busy with their careers, they don't have time to take care of their children. In 2009, Canada had 120 children per hundred seniors. All the growth scenarios indicate that the number of seniors will exceed the amount of children in the near future. "This reversal would occur in 2015 for the low growth scenario and six years later in the high growth scenario" (4). By 2036, the quantity of seniors would be more than double varying between 9.9 and 10.9 million. In 2061, it would vary between 11.9 million and 15 million. There will come a time when the baby-boomer generation will die, resulting in between 58 and 75 children per hundred seniors by 2036 and between 50 and 74 by 2061. In 2011, 851,560 people named themselves as First Nations citizens, representing 60.8% of the total Native population and 2.6% of the total Canadian population. In addition, 637,660 reported being status Indians, where as, 213,900 reported being non-status Indians. The incomes of Canadian Aboriginal women aged 15 and over tend to be really low. The average income of women was $15,654, approximately $5000 less than non-Aboriginal women who had the average income of $20,640 the following year. The income of Aboriginal women was $3000 less than the Aboriginal men. The average income for Native women was $14,490. For Inuit women, the income was $16,599 and Metis was $17,520. The income of Native women differs upon their area of residence. Those living on reserves had an average income of $12,466, while those living away from reserves have an income of $16,149. For Metis women in rural locations, their average income was $16,144. Ontario and four other provinces had the largest Aboriginal identities in 2011, varying from 301,425 in Ontario and 157,740 in Saskatchewan. By 2060, Canadian Aboriginals population shall reach between 1.7 to 2.2 million, at a growth rate quicker than the non-Aboriginal. The Metis population could extend between 500,000 to 850,000 people. In addition, the Inuit would be 73,000 to 77,000. Within the next forty five years, larger proportions of Aboriginals are expected to move to the metropolitan areas, such as, Thunder Bay, Winnipeg, Regina, Saskatoon, and Sudbury in greater search of a better economy and better quality of life in general. Hello! It's Sarah here. In my presentation, I'm going to talk about how my life is going to be different in the year 2060 v.s today. First of all, in 2060, I am expecting to live in a metropolitan area, such as, Toronto in better search of reliable healthcare and better jobs. I am interested in working for the medical field and helping out patients.Moreover, I want to earn a reasonable income to sustain a better quality of life and support my family. I prefer to have a family of four, just two, children, to balance my work habits and family commitments. In this smore, I have captured the main ideas that had to do with the current/future demography of Canada ,plus the Aboriginal issues in Canada. As portrayed in this smore, we can tell that the lives of citizens in 2060 will be different from now. One of it has to do with the population aging. In the future, Canada will have more seniors than children.